Colleen Perry Keith came into the top post at Spartanburg Methodist College as a pioneer six years ago. She was the first woman, first non-clergy and first Catholic to become president at the 114-year-old private United Methodist college, and she battled breast cancer shortly after her first year on the job. Now, she’s off to chart a new path at a larger university with three campuses, as president of North Carolina’s Pfeiffer University, a private, United Methodist-affiliated college. Keith has mixed emotions about her last day, which will be June 26. Keith said she felt her major roles as president of SMC were to advocate for the college through public relations and to work on fundraising. To do that, Keith felt she needed to get involved in the Spartanburg community. Over the years, she’s worked with many civic groups and organizations, including the Spartanburg Art Movement, Arts Partnership of Greater Spartanburg, Spartanburg Area Chamber of Commerce, Greer Education Foundation, Habitat for Humanity, Mary Black Foundation, College Town, Rotary, Spartanburg Regional Healthcare System Hospice, S.C. Independent Colleges and Universities and the National Association of Schools and Colleges of the United Methodist Church. Keith said she felt embraced by Spartanburg. Because of her years of service, Wofford College presented its Mary Mildred Sullivan Award to Keith during Wofford’s graduation ceremony May 17. Keith was known to dine with students in the campus cafeteria, learned their names, invited student groups to her home and she accepted their friend requests through Facebook. She can point out students in a photo of the 2012-13 basketball team that went 30-0 and can tell you where each team member is now. She began attending most of SMC’s sporting events and used Twitter to root for the Pioneers. “That has helped to raise the profile of the college,” Keith said. 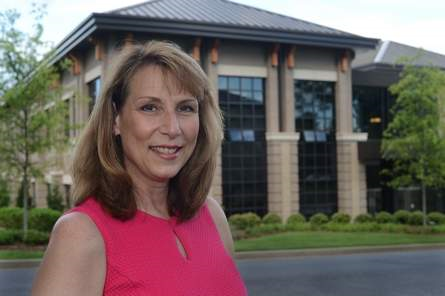 As the first woman at the post, it was a different kind of leadership for SMC. “The big challenge I always face is the line between mom and college president,” said Keith, who has a son. But that maternal lens, Keith said, has made it easier to handle “helicopter parents” and the mistakes of students. Yvonne Harper, public information director at SMC, said Keith took her roles as CEO, academic leader, bridge builder, chief storyteller and even chocolate chip cookie baker at SMC very seriously. But the students always came first. Just as Keith was settling in and getting acquainted with the college and Spartanburg — the year ahead included the launch of a major fundraising campaign for a new academic building, Ellis Hall — Keith learned she had Stage 1 breast cancer. It was so early in her term as president that during her first of four rounds of chemotherapy she wrote her inauguration speech, and she wore a wig for her inauguration. Students rallied around their president. Keith didn’t have medical leave, so she went to work every day during her treatment. Students, faculty and staff alike appreciated Keith’s open-door policy, with psychology professor Mary Jane Farmer calling Keith “one of a kind” who was a positive influence and gave solid direction at SMC. Keith has watched students grow and develop during their two years at SMC, She’s also enjoyed watching new professors come into their own as teachers. As a farewell gift, SMC faculty and students unveiled plans for a fountain, dedicated to Keith, to be built in front of Ellis Hall, the classroom building constructed during her tenure. The plans were announced during a reception June 4 for Keith, during which Converse College President Betsy Fleming read a proclamation from Spartanburg Mayor Junie White declaring June 4 as Dr. Colleen Perry Keith Day. Before coming to SMC, Keith had served in various higher education leadership roles, including student service, program development, teaching, fundraising and administration, including a decade at the Methodist Theological School in Ohio. She was executive director of development at Ohio University before coming to SMC. She received a bachelor’s degree in political science from the State University of New York at Binghamton, a master’s degree from the University of Pittsburgh in educational counseling and her doctorate in higher education administration and student affairs from Ohio State University. She’s in the process of moving to Misenheimer, N.C., where Pfeiffer is based. The university also has campuses in Charlotte and Raleigh, with 1,800 students. One of her first tasks as president will be growing the enrollment to at least 2,000. For SMC, Keith would like to see improved science labs, as many students are interested in health science majors, and a fitness center built on campus. But she feels like she’s leaving the college in a good place, with strong enrollment and financial stability.